I posted 8 DOs and DON'Ts for Twitter... I do not pretend to follow them all to the letter. I wrote about watching the cutest little boy be totally mesmerized by...a balloon. 5. Wade on Birmingham - My 21st haiku retrospective. 6. Magic City Post - Birmingham's mayoral election is around the corner. Here are the six candidates. 7. Birmingham Blogging Academy - If you've let fear of public speaking hold you back, here's what you're missing out on. Looking forward to your posts as always. I haven't been writing for a while due to circumstances but am starting up again. Enjoy. 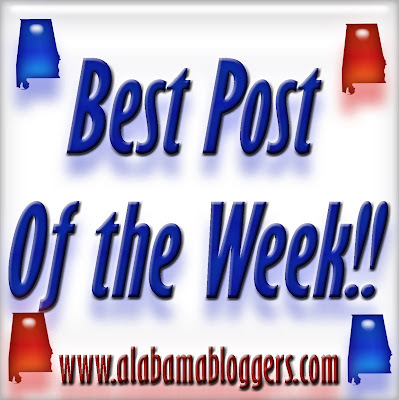 AND, I really am enjoying reading my fellow Alabamian's blogs. Well done! My post this week was my weekly bead table wednesday post as well as some musings on finding direction as a jewelry artist. This one is a week late but still one of my favorites.